Single family homes sold in Charlotte & Sarasota Counties in the past 30 days. View detailed reports of sold homes along with percent of listing to sold price. In addition, there are stats for the Average Listing and Sale Price of all homes in the counties over the last 30 days. Use this report to keep track of sales and sale prices for homes sold in Charlotte and Sarasota counties, Florida. Beautiful pool home in the highly desired Englewood Isles. Marina with boat slips available for rent and/ or purchase for homeowners only of Englewood Isles only. STUNNING TWO BEDROOM, TWO BATHROOM HOUSE OPEN LIGHT AND BRIGHT. Property listed on MLS for sales purposes only. Quaint house on tree-lined street with a cozy floor plan in South Venice. Features include new exterior paint, full front culvert system (no ditch in front yard), new roof installed December 2017, garage door and opener installed October 2012, water equipment and water heater. Huge 12,000 square foot lot. Nicely sized rooms and large lanai accessed through pocket sliding glass windows. No deed restrictions, no fees, park your boat or RV on site. First time home buyer, winter retreat, or investment property, you can’t beat this location in Venice, Florida. Opportunity WEST OF THE TRAIL! Original owner home, 2 bedroom 2 bath home with single car attached garage situated west of trail on between 41 and Osprey Drive. The home features a circular drive and a private fenced backyard. Perfect opportunity for an investor or buyer interested in rental potential. This would make a great vacation rental. Short Sale. Welcome home to this Cute 2/1 on a canopy street in SE Sarasota. Oversize fenced yard with area for RV, boat parking, or small garden. Sturdy block construction with tile floors throughout. Hidden away but close to everything, bring the pets and the toys and make this one your own. Short Sale. Awesome Starter, rental or close to the beach retreat! Of course it needs work for this price but it has nice Terrazzo floors and good Sq. Ft., in a great area. Large screened lanai. newer A/C. It certainly will not last long! Easy to show! ....PRESENTING ALL OFFERS.........This property is located in the Colonial Oaks neighborhood. It is minutes from the 75 freeway, shopping, and parks. With a little sweat equity this 3 bed 2 bath home can be a great property for a young family, retiree, or investor. 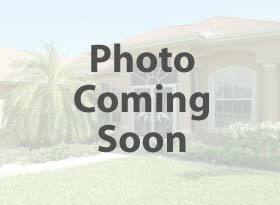 Corner lot with large fenced backyard, new water heater, screened lanai, and two-car garage. Colonial Oaks Recreation Park is a 23 acre facility featuring shaded picnic areas, playground, basketball courts, gym, tennis courts, walking trails and more! Remodeled adorable, 3 bedroom, 2 full baths with a carport, screened and vinyl enclosed lanai and a shed. Tile floors throughout and also on lanai. 1rst bath offers tub/shower combo, newer cabinet and sink. 2nd bath has pedestal sink and newly tiled shower. 2 bedrooms have tile/ wood plank flooring. Kitchen has extended countertops with a breakfast bar and ample cabinetry. Indoor laundry room. This home is move in ready. New A/C in 2017. Priced to sell quickly. Great Location, enjoy your big backyard view of Phillippi Creek, and enjoy your walk on Phillippi Creek Levee Trail, close to world famous Pinecraft area. 2 bed/1bath/1 car garage, excellent starter home or vacation home. Close to everything: Sarasota Downtown, Beaches, Restaurants. The seller never lived in this house and doesn't have first hand knowledge about it, no seller's disclosure is provided. Sold As-Is, Buyer to pay all closing cost . Note, The roof is older so the house may not qualify for financing. please verify with your lender before you submit your offer. INVESTOR ALERT!!! 3 bedroom, 2 bathroom, pool home built in 2004. This home needs some TLC but will be worth it!!! Bring your cash offer today!! !